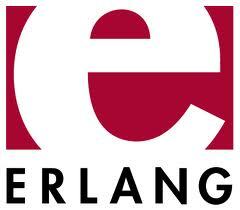 Erlang is now over 25 year old. I’ve been involved with Erlang from the very start, and seen it grow from an idea into a fully-fledged programming language with a large number of users. I wrote the first Erlang compiler, taught the first Erlang course, and with my colleagues wrote the first Erlang book. I started one of the first successful Erlang companies and have been involved with all stages of the development of the language and its applications. In 2007 I wrote Programming Erlang (Pragmatic Bookshelf) – it had been 14 years since the publication of Concurrent Programming in Erlang (Prentice Hall, 1993) – and our users were crying out for a new book. So in 2007 I grit my teeth and started writing. I had the good fortune to have Dave Thomas as my editor and he taught me a lot about writing. The first edition was pretty ambitious, I wanted to describe every part of the language and the major libraries, with example code and show real-world examples that actually did things. So the book contained runnable code for things like a SHOUTcast server so you could stream music to devices and a full text indexing system. The first edition of Programming Erlang spurred a flurry of activity – the book sold well. It was published through the Pragmatic Press Beta publishing process. The beta publishing process is great – authors get immediate feedback from their readers. The readers can download a PDF of the unfinished book and start reading and commenting on the text. Since the book is deliberately unfinished they can influence the remainder of the book. Books are published as betas when they are about 70% complete. On day one over 800 people bought the book, and on day two there were about a thousand comments in the errata page of the book. How could there be so many errors? My five hundred page book seemed to have about 4 comments per page. This came as a total shock. Dave and I slaved away, fixing the errata. If I’d known I’d have taken a two week holiday when the book went live. A couple of months after the initial PDF version of the book, the final version was ready and we started shipping the paper version. Then a strange thing happened – The Pragmatic Bookshelf (known as the Prags) had published an Erlang book and word on the street was that it was selling well. In no time at all I began hearing rumours, O’Reilly was on the prowl looking for authors – many of my friends were contacted to see if they were interested in writing Erlang books. This is really weird, when you want to write a book you can’t find a publisher. But when an established publisher wants to publish a book on a particular topic it can’t find authors. Erlang was getting some love so languages like Haskell needed to compete – Real World Haskell by Bryan O’Sullivan, John Goerzen and Don Stewart was published in 2008. This was followed by Learn You a Haskell for Great Good by Miran Lipovaca (2011). My Erlang book seemed to break the ice. O’Reilly followed with Erlang Programming and Real World Haskell – which inspired No Starch Press and Learn You a Haskell for Great Good which inspired Learn You Some Erlang for Great Good and the wheel started to spin. I was contacted by the Prags: did my book want a refresh? What’s a refresh? The 2007 book was getting a little dated. Core Erlang had changed a bit, but the libraries had changed a lot, and the user base had grown. But also, and significantly for the 2nd edition, there were now four other books on the market. My goals in the 1st edition had been describe everything and document everything that is undocumented. I wanted a book that was complete in its coverage and I wanted a book for beginners as well as advanced users. Now of course this is impossible. A book for beginners will have a lot of explanations that the advanced user will not want to read. Text for advanced users will be difficult for beginners to understand, or worse, impossible to understand. When I started work on the 2nd edition I thought, “All I’ll have to do is piff up the examples and make sure everything works properly.” I planned to drop some rather boring appendices, drop the odd chapter and add a new chapter on the type system… so I thought. Well, it didn’t turn out like that. My editor, the ever helpful Susanna Pfalzer, probably knew that, but wasn’t letting on. In the event I wrote 7 new chapters, dropped some rather boring appendices and dropped some old chapters. The biggest difference in the 2nd edition was redefining the target audience. Remember I said that the first edition was intended for advanced and beginning users? Well, now there were four competing books on the market. Fred Hebert’s book was doing a great job for the first-time users, with beautifully hand-drawn cartoons to boot. Francesco and Simon’s book was doing a great job with OTP, so now I could refocus the book and concentrate on a particular band of users. But who? In writing the 2nd edition we spent a lot of time focusing on our target audience. When the first seven chapters were ready we sent the chapters to 14 reviewers. There were 3 super advanced users – the guys who know everything about Erlang. What they don’t know about Erlang could be engraved on the back of a tea-leaf. We also took four total beginners – guys who know how to program in Java but knew no Erlang – and the rest were middling guys: they’d been hacking Erlang for a year or so but were still learning. We threw the book at these guys to see what would happen. Surprise number one: some of the true beginners didn’t understand what I’d written – some of the ideas were just “too strange”. I was amazed – goodness gracious me, when you’ve lived, breathed, dreamt and slept Erlang for twenty-five years and you know Erlang’s aunty and grandmother, you take things for granted. So I threw away the text that these guys didn’t understand and started again. One of my reviewers (a complete beginner) was having problems, – I redid the text, they read it again, they still didn’t understand – “What are these guys, idiots or something? I’m busting a gut explaining everything and they still don’t understand!” And so I threw the text away (again) re-wrote it and sent them the third draft. Bingo! They understood! Happy days are here again! Sometimes new ideas are just “too strange” to grasp. But by now I was getting a feeling for how much explanation I had to add: it was about 30% more than I thought, but what the heck, if you’ve written a book you don’t want the people who’ve bought the damn thing to not read it because it’s too difficult. I also had Bruce Tate advising me – Bruce wrote Learn 600 Languages in 10 Minutes Flat (officially known as Seven Languages in Seven Weeks). Bruce is a great guy who does a mean Texas accent if you feed him beer and ask nicely. Bruce can teach any programming language to anybody in ten seconds flat, so he’s a great guy to have reviewing your books. What about the advanced guys? My book was 30% longer and was aimed at converting Java programmers who have seen the light, who wish to renounce their evil ways and convert to the joys of Erlang programming, but what about the advanced guys? Screw the advanced guys – they wouldn’t even buy the book because they know it all anyway. So I killed my babies and threw out a lot of advanced material that nobody ever reads. My goal is to put the omitted advanced material on a website. I also got a great tip from Francesco Cesarini: “They like exercises.” So I added exercises at the end of virtually every chapter. So now there is no excuse for not holding an Erlang programming course: there are exercises at the end of every chapter! Joe Armstrong, author of Programming Erlang, is one of the creators of Erlang. He has a Ph.D. in computer science from the Royal Institute of Technology in Stockholm, Sweden and is an expert on the construction of fault-tolerant systems. He has worked in industry, as an entrepreneur, and as a researcher for more than 35 years. I’m excited about this new edition (in the mail now). I’ll probably try putting together a few classes around the material in the book for my staff — it should be a fun experiment, anyway! Oddly, my experience has been that teaching Erlang to programmers (lispers aside) is actually harder than teaching the average non-programming student who can pass a secondary math like high school geometry or basic algebra. The syntax “makes sense” to English students, and confounds those with C-style syntax experience (and Japanese speakers — most of my staff — tend to wonder why its not indentation-driven, but just accept it). So secretaries and accountants quickly grok Erlang and ex-OOP/imperative folks take longer. Does this mean there will be an Erlang course or the opposite? Maybe it is just me, but the wording is a bit confusing. What would be great is an advanced Erlang course on Coursera or a similar platform. I took both Scala classes, and my impression is that they have greatly expanded the Scala community. Considering the recent surge of interest in functional languages, I think an Erlang course would attract a lot of students if offered as a MOOC. Is it a possibility? and would love to make a course. Hopefully we will make a course available in 2014. Can’t wait to get it! I still remember the day I downloaded the pdfs.. buying the paperback.. getting my first bit of Erlang accepted into Elixir core in 2009. I loved the personal story, and the advice about committing to reaching a particular audience, testing it out, even if it meant ruthlessly cutting out material you liked! ha ha. Love the remark.